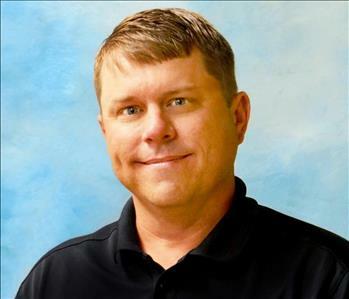 Benjie Rigby is the Operations Manager for SERVPRO of Amory/Aberdeen & West Point. He has 12 years of experience in the restoration field as well as 12 years with SERVPRO. Benjie is IICRC Certified in Water & Fire as well as ECTP Certified. He is married with three children. 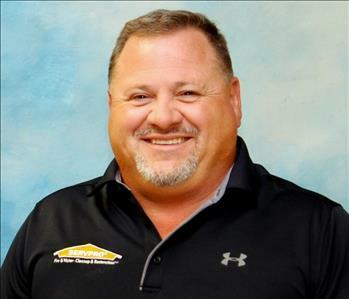 Mike Eldridge is the Marketing Manager/Key Accounts Manager for SERVPRO of Amory/Aberdeen & West Point. He has been with SERVPRO for 14 years. He has the following certifications from the Institute of Inspection Cleaning and Restoration Certification (IICRC): Odor Control, General Safety, Subrogation, Fire, WTR. He has also been part of the SERVPRO Million Dollar Club six different times. Mike is married with six children and two grandchildren. He is a CDF Ambassador and a St. Jude Donor. 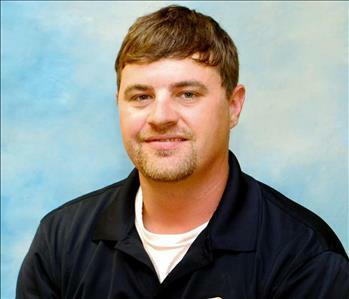 Rhettford Puckett is the Marketing Representative and Storm Coordinator for SERPVRO of Amory/Aberdeen & West Point. 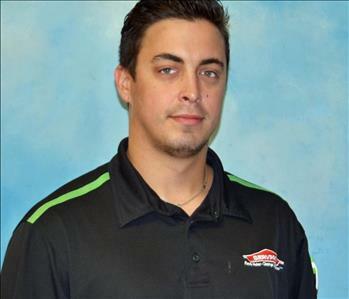 Rhettford began SERVPRO as Production Manager in 2012 and was promoted to Marketing Representative in 2014. Rhettford is IICRC Certified, WRT, HCC, and Fire & Smoke Restoration certified. Rhettford is married and has 2 children. He enjoys hunting and spending time on the baseball fields with his children on the weekends. Todd has been with SERVPRO of Amory/ Aberdeen & West Point for 5 years. Todd is the Marketing Representative for our Tupelo Franchise. He is IICRC certified as well as ECTP certified. Todd is happily married with two children. 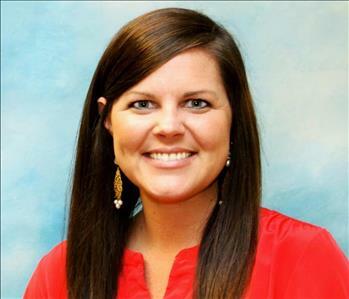 Brooke is the Marketing Support Coordinator for SERVPRO of Amory/Aberdeen & West Point. Her primary job is Marketing Administration, Branding Advertising, and Event Coordination. 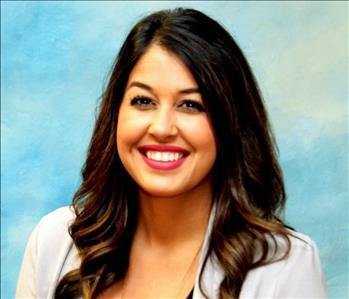 Brooke returned to SERPVRO of Amory/Aberdeen & West Point in 2016. She is ECTP Certified. Brooke is married and has two children. 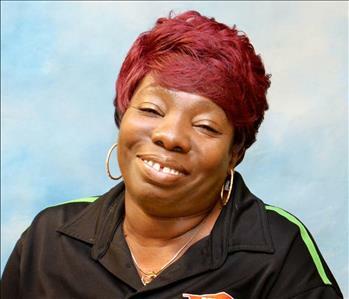 Dana is the Office Manager for SERVPRO of Amory/Aberdeen & West Point. Dana has been with SERVPRO for 9 years. Dana is IICRC certified as well as ECRP certified. As an office manager some of her primary responsibilities are Team Management; Financial Analysis, Key Measurements, & Compliance; Human Resource Management; and Annual Planning & Reporting. Dana is married with two beautiful girls. 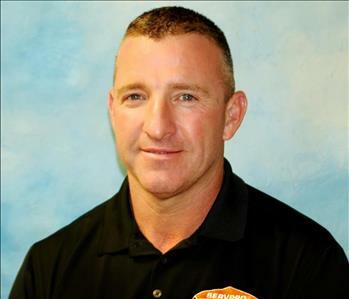 Greg is our Construction Manager for SERVPRO of Amory/Aberdeen & West Point. As a Licensed Contractor in the State of Mississippi, he has 20 years of experience as a Contractor. 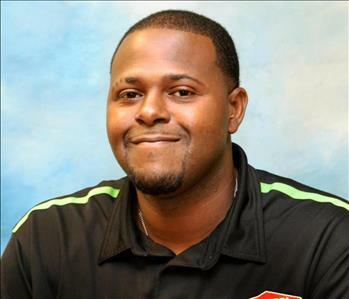 He has been with SERVPRO of Amory/Aberdeen & West Point for 3 years and is a very valuable asset to our team. Greg has been married for 26 years with two "perfect" children. 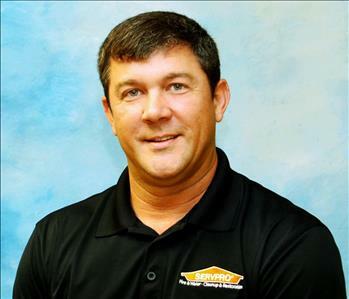 Stephen is the Construction Administrative Assistance for SERVPRO of Amory/Aberdeen & West Point. Stephen joined our team in 2017. As a Construction Assistant, Stephen's primary job roles are Job File Management; Sub-Contracting Management; Schedule Coordination; and Job Cost Analysis. Stephen is married with three children. 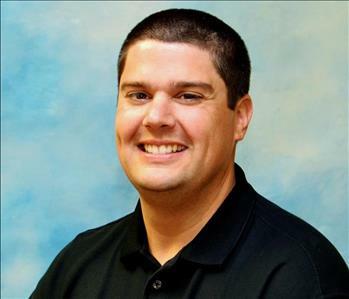 Kurt is our Production Manager at SERVPRO Amory/Aberdeen & West Point. 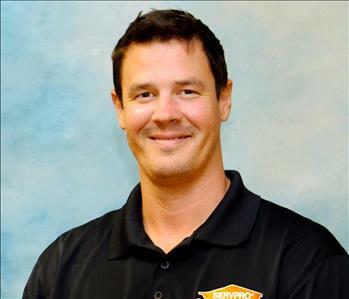 He has been with SERVPRO for 10 years and with that experience brings leadership for key roles such as: Training Production Personnel, Overseeing Job Processes and Crews, Reviewing Job Files, and Managing Relationships with Clients and Customers. Kurt is IICRC Certified, ECTP Certified, and Asbestos & Lead Certified. Kurt is engaged to be married with six children. LeKelsey is our First Responder for SERPVRO of Amory/Aberdeen & West Point. After 5 years with SERVPRO of Amory/Aberdeen & West Point, he began as a Production Technician and his efficiency on jobs and willingness to go above and beyond for any customer have made him an integral leader for our Production staff. LeKelsey is IICRC certified and ECTP certified. 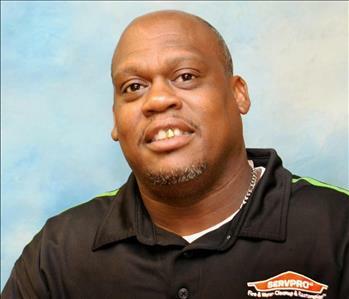 Eric has been a Production Technician for SERVPRO of Amory/Aberdeen & West Point for 11 years. 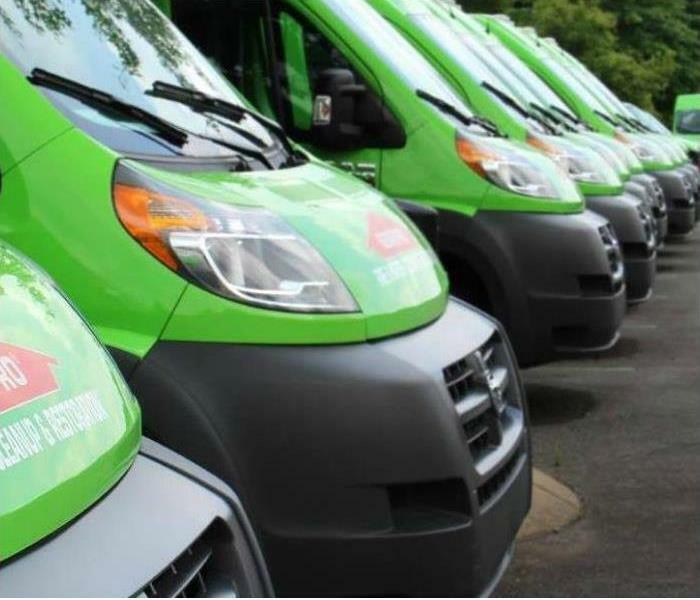 As a production technician, he responds to service calls as needed, performs services as assigned, following SERVPRO® production guidelines, communicates with crew chief to make sure all customer needs are met, and supports crew chief and other production personnel. He is available 24 hours a day for emergency services. Eric is ECTP certified. 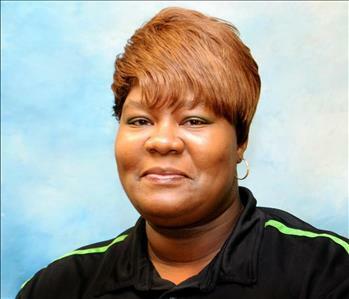 Criffie has been a Production Technician with SERPVRO of Amory/Aberdeen & West Point for 10 years. Criffie is ECTP certified. As a Production Technician, Criffie focuses on Structure and Contents cleaning in the Fire Restoration process as well as other duties to help ensure accurate and efficient job completion by all of our Production Team. Jessica has been a Production Technician with SERPVRO of Amory/Aberdeen & West Point for 3 years. Jessica is ECTP certified. As a Production Technician, Jessica focuses on Structure and Contents cleaning in the Fire Restoration process as well as other duties to help ensure accurate and efficient job completion by all of our Production Team. Jessica has four children. 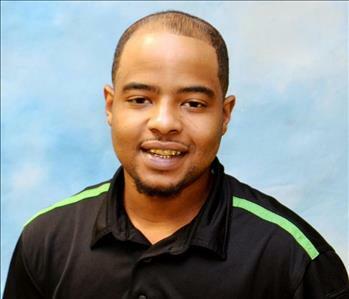 Darion began in 2017 as a Production Technician for SERVPRO of Amory/Aberdeen & West Point. 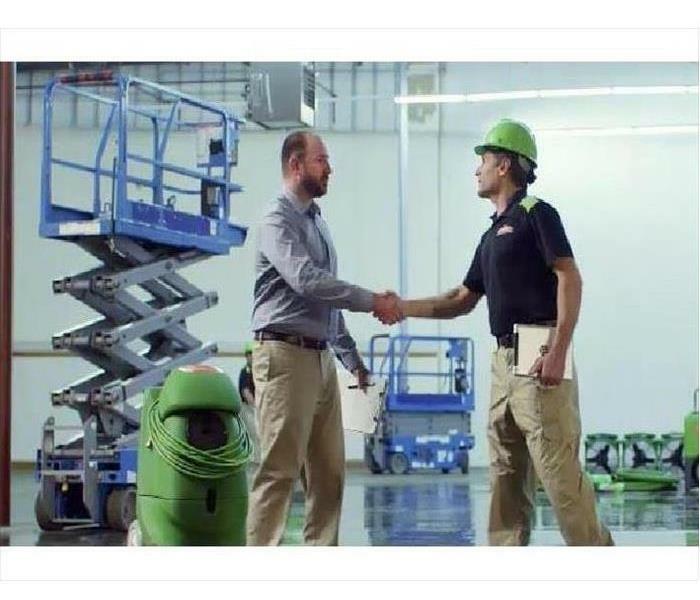 As a production technician, he responds to service calls as needed, performs services as assigned, following SERVPRO® production guidelines, communicates with crew chief to make sure all customer needs are met, and supports crew chief and other production personnel. He is available 24 hours a day for emergency services.